Windows Vista SP1 (Service Pack 1) RTM has been officially released and an announcement to this effect was made by Mike Nash – Corporate Vice President of Microsoft Windows Product Management. However most users will have to wait one more month as “officially released” is probably applicable only for a few users. The English version of Windows Vista SP1 (Service Pack 1) will be available through Windows Update in mid-March.French, Spanish, German and Japanese versions of windows vista editions will also be available then.However other languange editions have to wait a little longer. 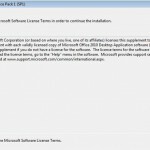 All windows Vista users can either choose to let Windows Update detect and install SP1 automatically, or they can download the standalone full SP1 setup package from Microsoft Download Center on microsoft.com. However note that Vista users whowould prefer to let automatic updates to do its job will only find their vista SP1 getting updated in mid-April. Microsoft has actually identified a few issues with a small set of device drivers.the manufacturers of these drivers have not followed Microsoft guidelines for driver installation.Hence vista might have to reinstall those drivers, after vista SP1 installation, to avoid problems.Hence, Microsoft preferred to get these device drivers updated before initiating automatic installation of Windows Vista SP1 (Service Pack 1). Integration by OEMs of Windows Vista SP1 to new PCs, and availability of DVD product of Windows Vista with SP1 in retail markets are expected to happen from next month. Vista SP1 DVDs for corporate and enterprise customers with Volume Licensing program will also be distributed. It looks like Windows Vista SP1 RC Refresh 2 is the version of vista SP1 RTM as both have the same build versions of 6001.18000.080118-1840. If you believe that both are the same, you can now download and install vista SP1 at your risk via Windows Update or torrents. 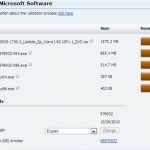 Is Windows 7 Really Just a Service Pack to Vista? 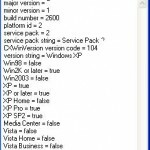 Windows vista Service Pack 1 (SP1): How to obtain Windows vista Service Pack 1 (SP1) for single PCs? How to check Vista SP1 (Service Pack 1) is installed on your PC or computer system?